Lost the sandtimer for your child's favorite game? Keep these on hand for replacements or for your own games at home. 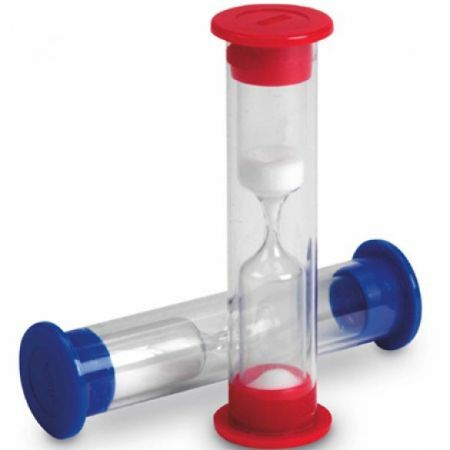 Set of two includes one- and two-minute timers.